Our award winning law firm can guide you through the complicated process of adopting a child. Our aggressive attorneys have been certified by the State Bar of California as family law specialists, which is one of the reasons why we are one of the best law firms in Orange County. The lawyers with our firm are highly respected throughout the area of Southern California. Sarieh Law Offices ALC. 5.0/5.0 stars – based on 22 reviews on Google. If you would like to hear honest legal advice regarding the adoption process, contact us to schedule a consultation with a lawyer today. Adoption can be an absolutely wonderful way to grow your family. But adoption is not without its challenges. In fact, some domestic adoptions can be quite complex, but this is where you can benefit from working with an attorney who is also an experienced certified specialist in family law by the State Bar of California. The adoption lawyers of Sarieh Law Offices are here to represent adoptive families and birth families alike. We also work with step parents who are seeking to formally adopt their partner’s biological child, along with foster parents who would like to adopt a foster child. Our legal team is well-equipped to assist with independent adoptions. We also consult for and represent clients involved in an agency adoption. Adoption builds families, while also transforming both the child’s life and the parent’s life. At times, adoptions can be rather complex, in part due to the powerful emotions involved. Our Southern California adoption lawyers are committed to protecting your interests as we strive to bring about the best possible outcome to your situation. The Orange County family law attorneys at Sarieh Law Offices are available to provide you with a confidential, no-cost case evaluation. Just call us at (714) 542-6200. Many adoptive parents are new to the system and uncertain about what to expect as they proceed through the adoption process. Every case is unique, but our legal team has written up some information on a few of the most common questions and concerns that we address on this topic. What if Everyone Agrees to the Adoption? There are many cases where everyone involved agrees to the adoption, resulting in a process that is faster, easier and less costly. In this type of situation, the biological parents simply need to sign forms indicating that they consent to the adoption. This allows the process to move forward toward finalization in the courts. It’s also commonplace for the Department of Social Services to perform a routine investigation and home study. (Although there are third-party organizations that are also authorized to perform home studies.) Home studies are not required for all adoptions, as in the case of most step parent adoptions. What is Willful Failure and Abandonment? In family law, willful failure involves a situation where a parent has not had contact with the child and has not provided any support for a period of one year or longer. In these cases, the case is said to involve willful failure, and the parent’s consent may not be required for the adoption. In cases involving abandonment, the parent’s rights can be terminated by the court and the adoption may move ahead without their consent. Can an Adoption Lawyer Help Draft an Agreement with a Biological Mother? There are some situations where an individual or couple arrives at an agreement with a pregnant woman who is seeking to give up her child for adoption. There are also scenarios where a woman may serve as a surrogate for another party. In these cases, it is prudent to contact a family law attorney who can help you draft a formal agreement. This helps to protect your interests, particularly if things do not go as planned. For example, there are many cases where a soon to be adoptive parent agrees to pay for certain expenses (i.e. prenatal care) for the biological mother or surrogate. In these cases, it’s wise to draft a formal legal document that outlines the terms of the agreement. Do I Need a Visitation Agreement for the Biological Parent? In some cases, the adoptive parents may agree to allow visitation with one or both of the child’s biological parents. In this situation, your attorney can help you draft a Post-Adoption Contact Agreement. It is typically up to the adoptive parents to decide if they wish to allow contact. It’s also important to note that new laws in California allow some parental rights to remain intact in cases where all parties – the adoptive family and the biological parents – are in agreement. Many adoptive parents are concerned about a scenario where a birth parent has a change of heart concerning the termination of their parental rights. Typically, the birth parent will sign a relinquishment document within a couple of days of giving birth. In California, a licensed social worker along with two witnesses must be present to witness this signature. California law provides the birth mother with up to 30 days to change her mind. After 30 days, the relinquishment becomes permanent. The mother also has the option to waive the 30-day period, making the decision permanent right away. In cases where the father’s identity is unknown, or he declines to be involved, the courts will terminate his rights – that is, unless the biological father offers an objection. Can You Help with Terminating the Rights of an Alleged Father? Yes, our family law attorneys can assist with the termination of a parent’s rights. This is a suitable option in cases where a child’s parents were never married and/or no one is recognized legally as the child’s father. In this situation, one of our adoption attorneys can help you file the appropriate paperwork in order to terminate the alleged father’s rights. This is most common in situations where a step father would like to adopt a child. In cases where the father is known, a Notice of Alleged Paternity may be filed; the party has 30 days to take action before rights are terminated by the courts. A parent can voluntarily terminate their parental rights as well. An adoption is an exciting experience; one that can be transformative for child and parent. At Sarieh Law Offices, our attorneys view it as a privilege to be part of such a special process. Our goal is to protect your interests throughout the adoption process, while maximizing your chances of enjoying a smooth adoption that’s wrapped up in a timely manner. The family law attorneys of Sarieh Law Offices work with clients throughout Los Angeles and the greater Orange County area. 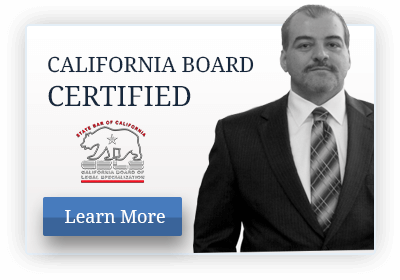 Certified by the State Bar of California as specialists in family law, our attorneys can also assist with other matters, such as child custody agreements, child visitation agreements, guardianships, divorces, child support and more. Contact us today to arrange a free, confidential consultation by calling (714) 542-6200.